for a Legendary Night out ! 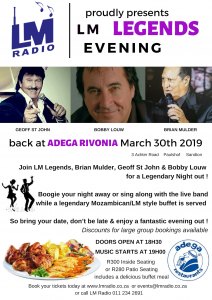 30th March 2019 Adega Rivonia ! So bring your date, don’t be late & enjoy a fantastic evening out !